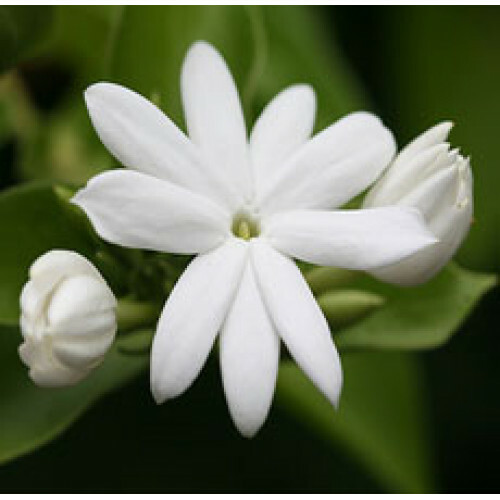 Arabian jasmine is also known as Jasmine Sambac. It is a vine with fragrant little white flowers and shiny dark green leaves. The flowers are about one inch across and grown in cluster of three to twelve among clusters of 3 leaves, the flowers will fade to pink as they age. They will bloom through the summer or continuously in a warm climate. The flower will bloom late in the evening and will produce a fruit of small black berries. GURANTEED TOP QUALITY AND LOWEST PRICE IN NORTH AMERICA.